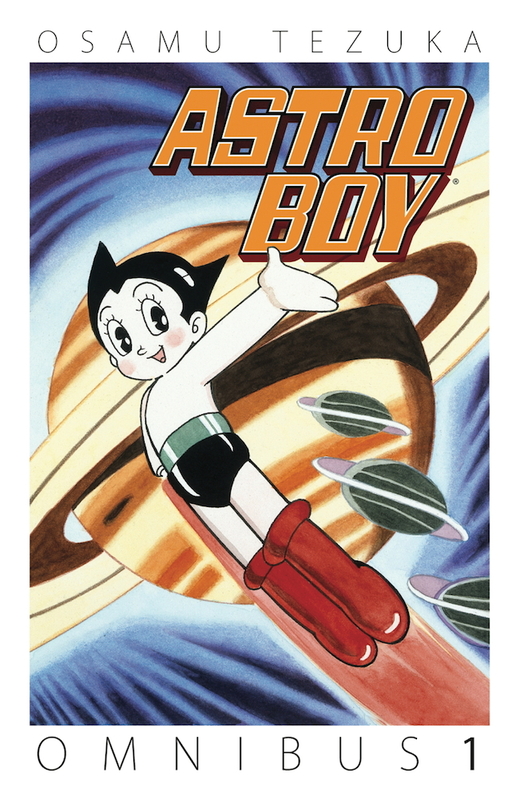 This giant collection of classic Astro Boy stories by Osamu Tezuka reprints stories previously presented in three volumes, translated by Frederick L. Schodt from the original Japanese versions. These authorised editions were published in Japan from 1975 onwards, featuring stories personally selected by Tezuka himself in a ‘best of’ compilation style. He also adds introductions and commentary to his selections, drawing himself explaining some of his thinking around the stories and how he created them. The selections in this Omnibus cover the entire 24 years of Astro Boy stories from 1951 to 1975. Despite Astro Boy becoming a worldwide phenomenon in the 1960s, most people outside Japan only know him from cartoons and merchandising. 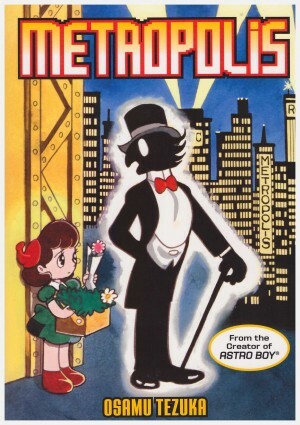 This massive collection of stories, though, has enough great work to get a new reader completely up to speed with the world of Astro, his very charming and feisty personality, the array of inventive and weird villains he faces and the difficulties of being a robot in a human world. The first story, ‘The Birth of Astro Boy’ (1975), is an introduction to the series. ‘The Hot Dog Corps’ (1961), involves an army of robots who are designed to sabotage Japan’s rockets. ‘Plant People’, (also 1961), has Astro encountering robots who want to steal Earth’s water. ‘His Highness Deadcross’, (1960), is an epic 100-pager opening with an intro from Tezuka musing on violence, which is a theme in this story. Astro Boy travels to another country, to protect the first robot to be elected president from humans who want to destroy him. In ‘The Third Magician’ (1962), a robot magician named Kino turns into a thief, and citizens angry with dangerous robots want to change the laws to ban them from being autonomous. But can there be a reason why a good robot would suddenly turn bad? ‘White Planet’, (1963), is about a racecar with a robot brain. After a rival team destroy it, Professor Ochanomizu intervenes to repair it with Astro’s help. The most exciting story in this volume is the epic ‘Greatest Robot on Earth’ (1964). One of the key stories of the Astro Boy series, and a favourite of Tezuka, it’s an affecting blend of action, moral questions and philosophical dilemmas. The villainous sultan Chochi Chochi Ababa hires a mad scientist to create a shiny black ultimate robot destroyer named Pluto. Pluto’s only mission is to destroy the seven strongest robots in the world and become King of the Robots. 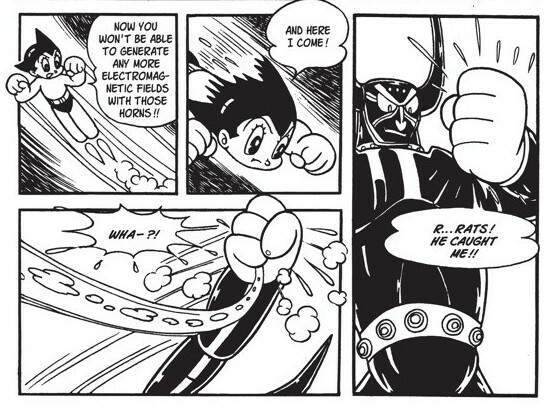 Astro Boy survives his first encounter with Pluto but he’s massively outmatched so he decides he must increase his power – from one hundred thousand horsepower to one million. But can he handle the upgrade in power without destroying himself? The last story ‘Mad Machine’ (1958) involves an invention that causes all mechanical devices to run amok. Astro Boy has to destroy it before he too goes off the rails. This extra-large collection of philosophy, villainous scientists, futuristic gadgetry, ethical problems and giant robot battles is an excellent introduction to Astro Boy. 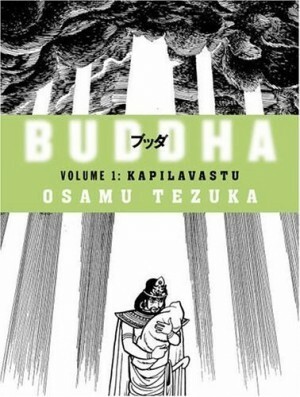 Osamu Tezuka is a great storyteller, crafting tales full of incident and cliffhangers. He manages to inject quite a lot of emotion into his stories even though the plots can be completely bizarre, and Astro himself is a blend of heroic determination and righteous innocence that can really make you care about what happens to him. 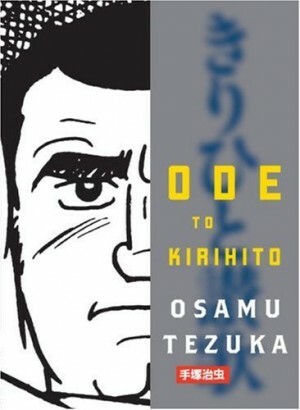 This volume is perfect for anyone curious about the origins of modern manga or just interested in great comics.